All 3 Formulas Foundation Trial Size Pack - 3 Middle Shades. After waiting quite a long time for these samples to arrive I was sadly disappointed by this product. 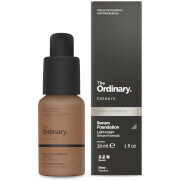 The moisturizing formula had little coverage, the matte formula was cakey, and the concealer sat on top of my skin. I tried with and without primer. Tried fingers, brushes, and Beauty Blender. Just couldn't get it to look good on me. At first I didn't like this mineral makeup. After realizing my moisturizer contained natural oils, i switched to an oil-free one and BAM! what a difference it made to the look of the makeup.I tried all three and florentine fair is my almost perfect match. the moisturizing one has the least amount of coverage. mattifying goes on well and stays almost all day. the concealer one is thick and appears whiter than the others once on. I have hormonal acne and mattifying mixed wiht the moisturizing covers better the the other mineral makeup I was using from the derm. Most recent mineral makeup was mineralogie. 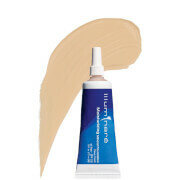 Others ive tried are Bare Minerals, Everyday essentials, Laura Mercier, and Sheer cover .Illuminare covers the best. and looks natural on me. I have dry skin and have no problems when I exfoliate and moisturise with and OIL-FREE moisturiser. Will purchase ASAP.By the way the application sponge is cute and makes the application of this makeup way easier! I found this foundation very hard to apply. It is very thick and hard to spread out with a small amount so I think I used more than I should have. I must say the coverage is amazing. My skin looked beautiful at first, but when I looked in the mirror close up at the end of the day, it did not look so good. It seemed to make some dry patches look worse and looked cakey. I just bought the sponge for the blush, so I may try using that to apply this foundation and see how it works. The lightest shade in the sample pack is also slighly too light for me and the next shade is too dark, so I wish there were more shades to choose from. It did not break me out or irritate my skin at all and I have very sensitive acne prone dry skin. I may give it another try using the sponge. We'll see. The trial sizes make it possible to see if you like it or not. I think that all companies should offer trial sizes. I didn't like it very much no matter how I mixed the colors, it just didn't look right on me, but it did feel good on my dry skin. 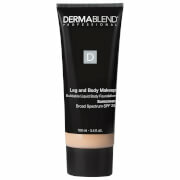 As for the cover up of dark spots, I thought it covered just like any other concealer, you have to kind of cake it on. Also, I had a really hard time trying to blend it, and it is very difficult to wash off. I thought it was difficult to use.